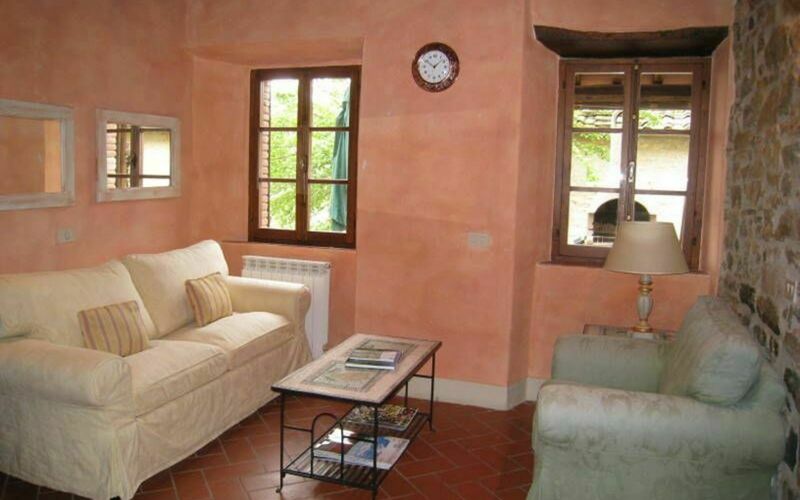 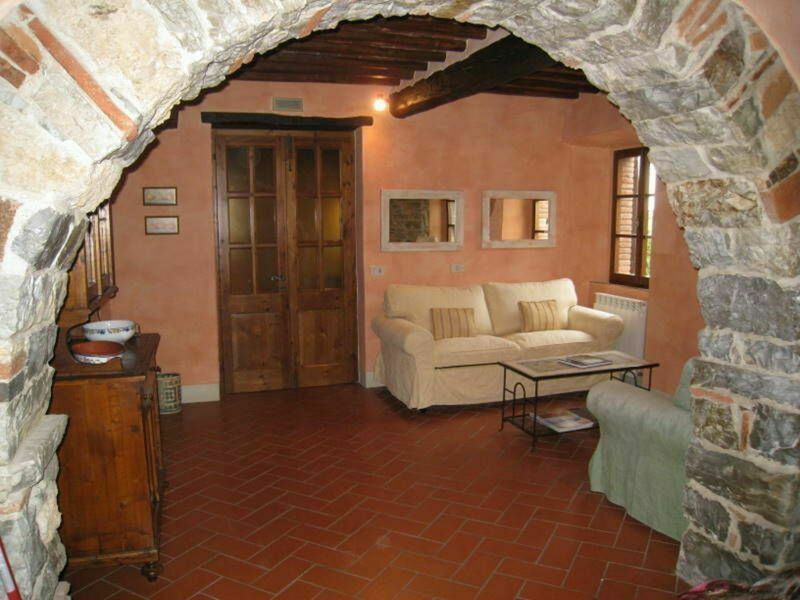 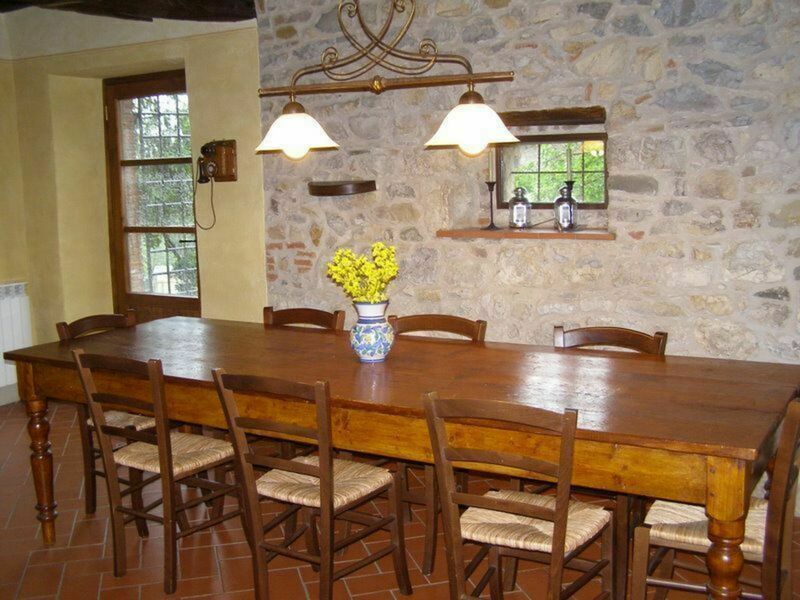 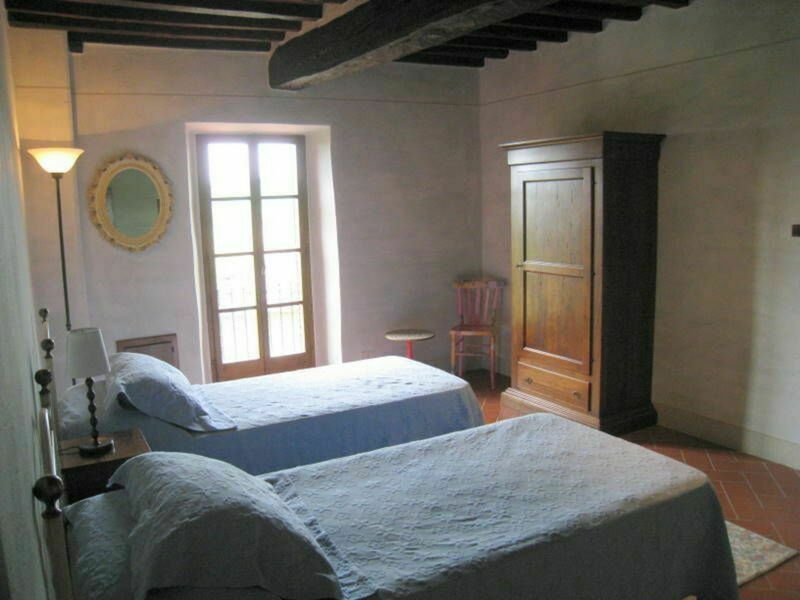 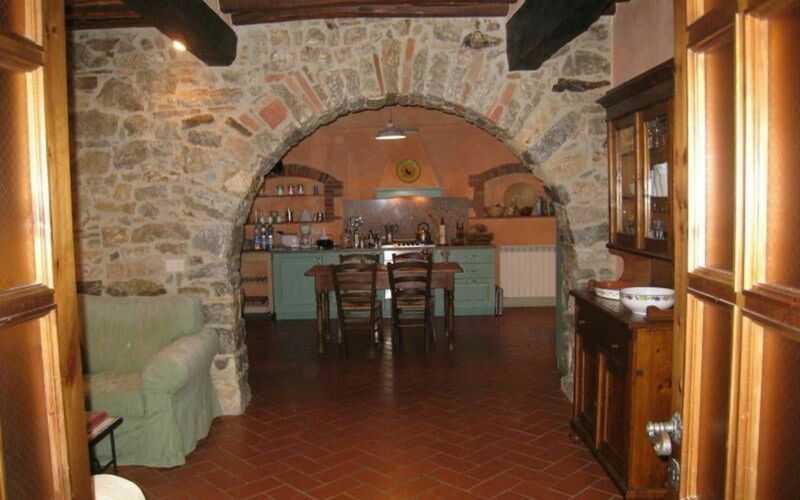 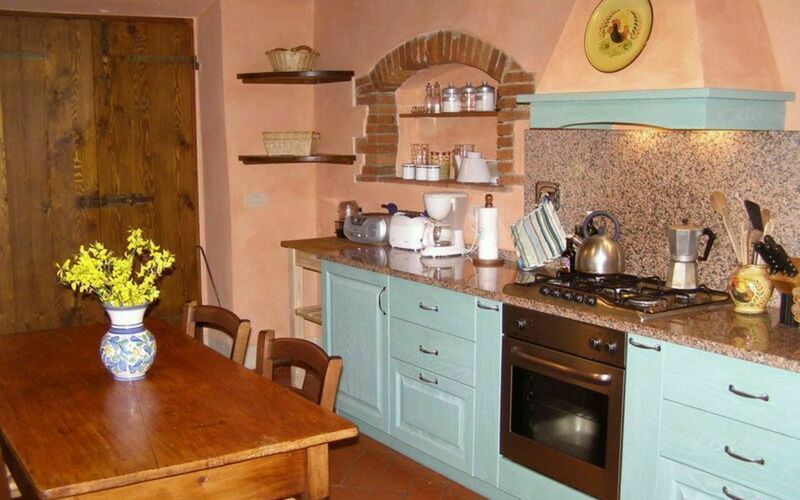 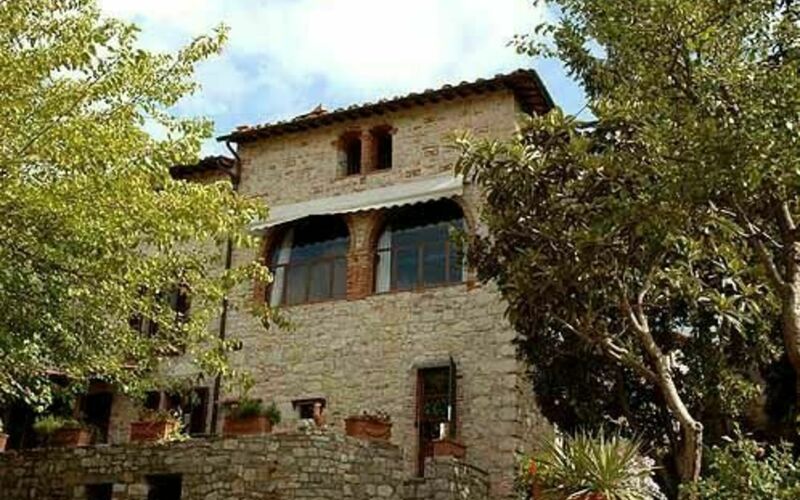 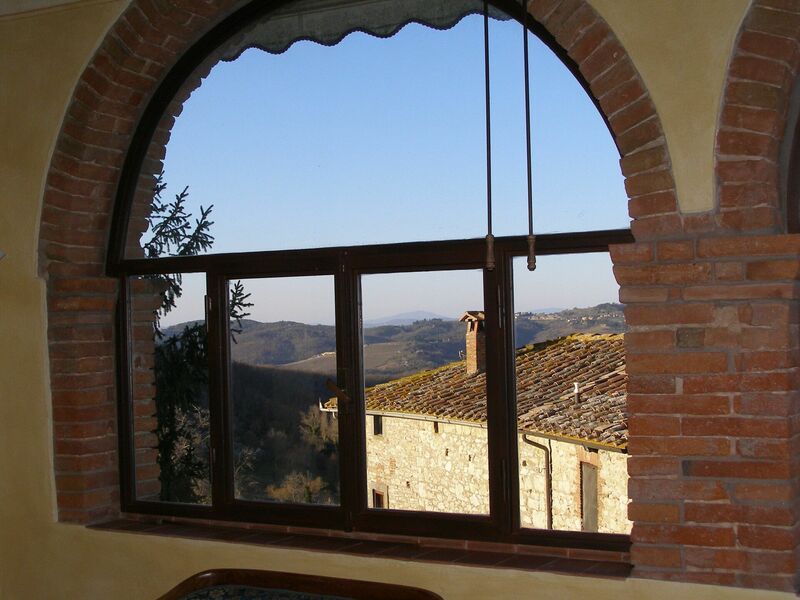 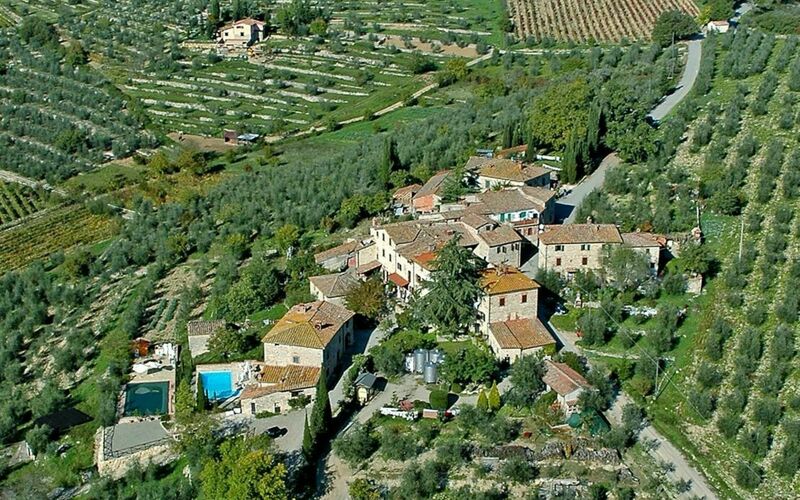 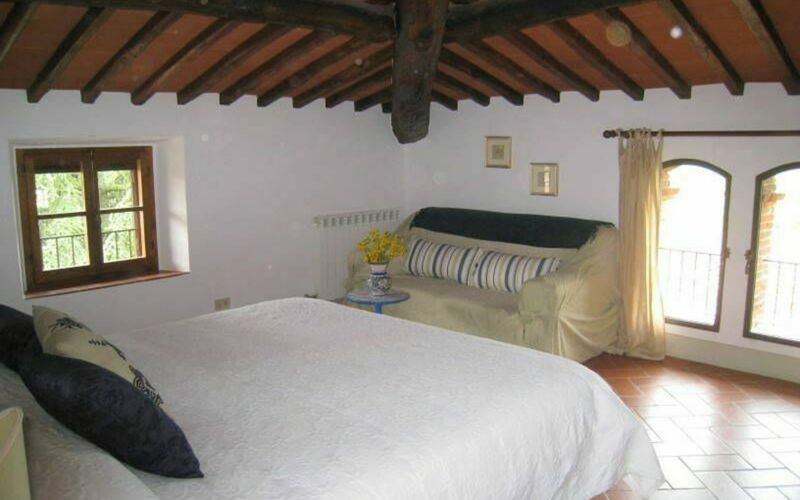 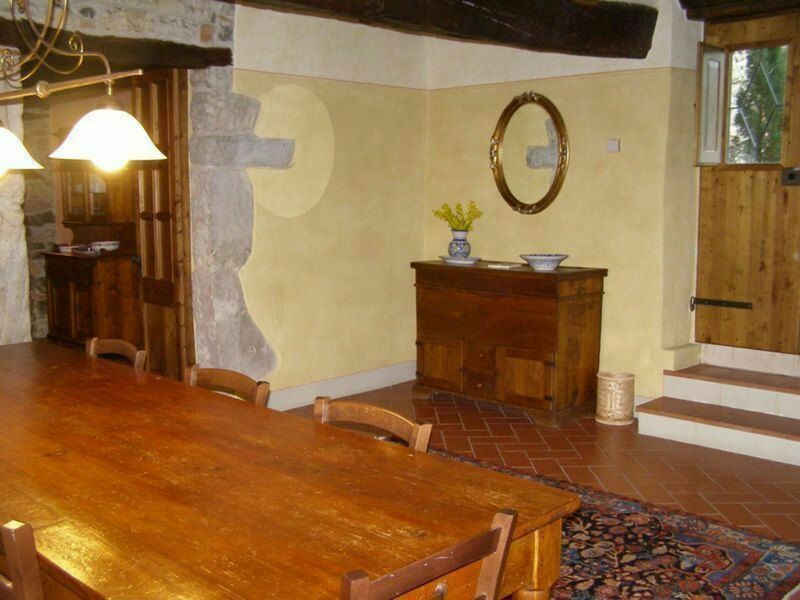 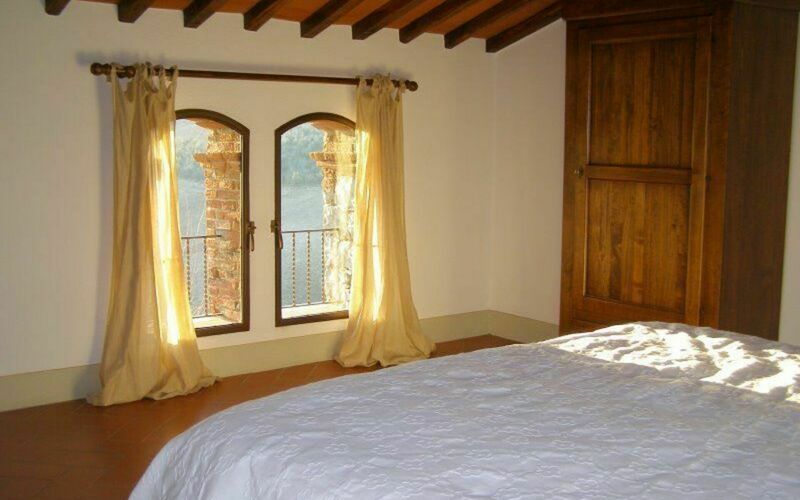 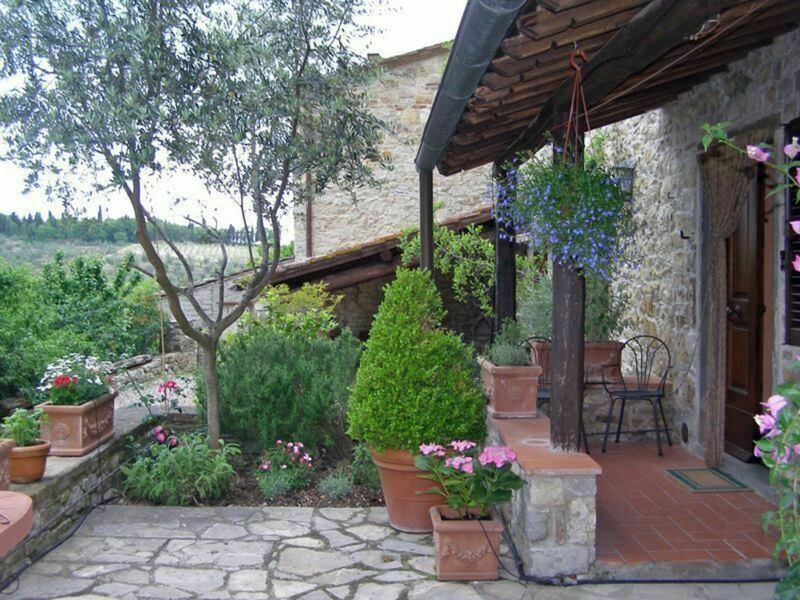 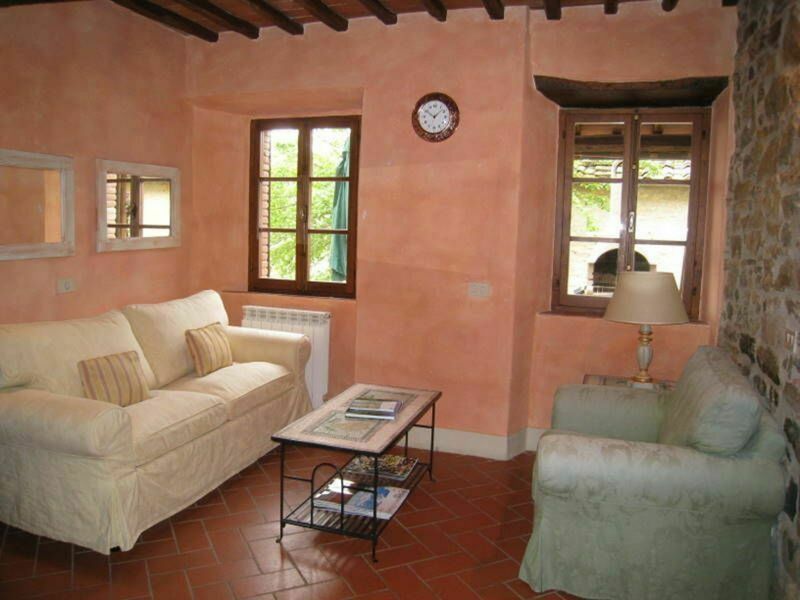 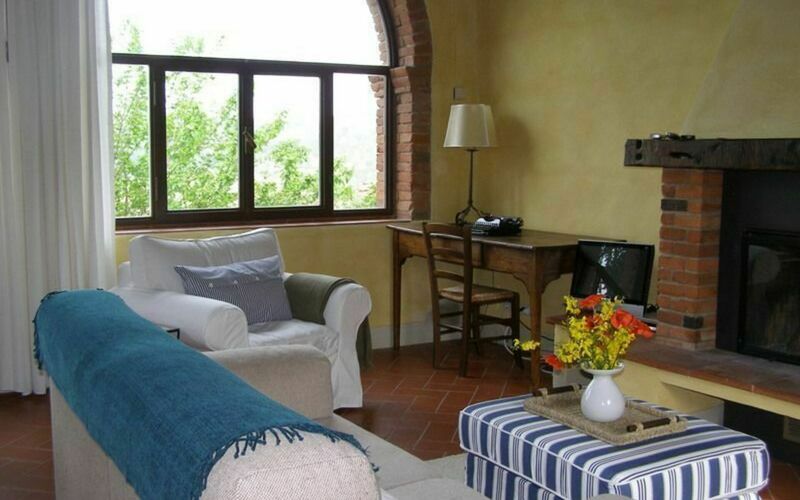 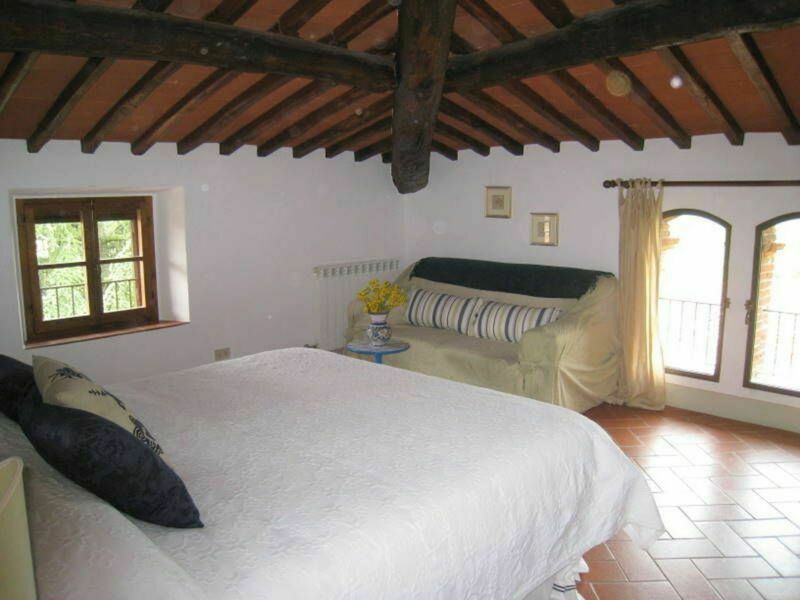 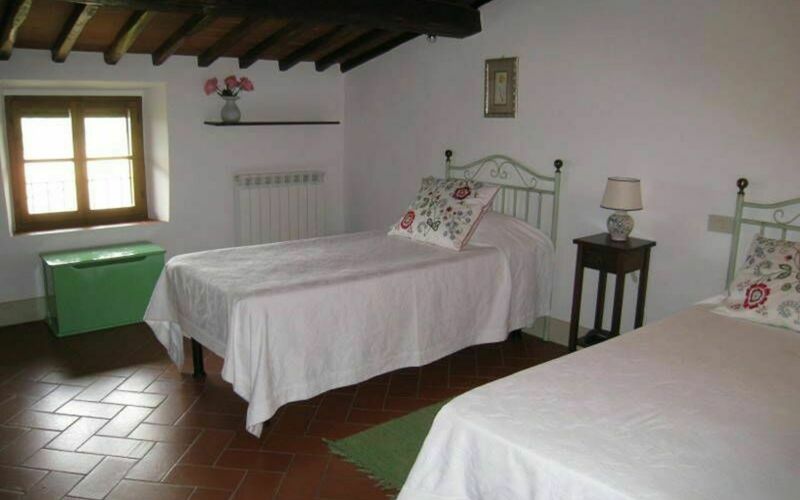 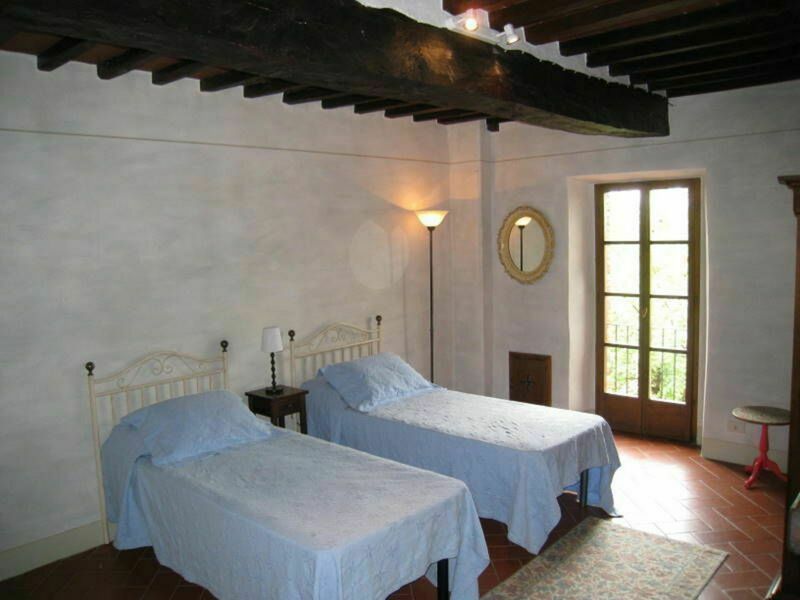 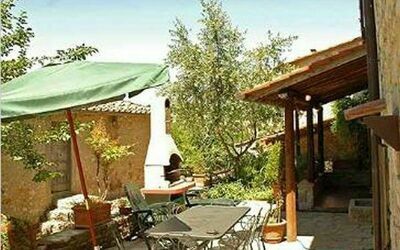 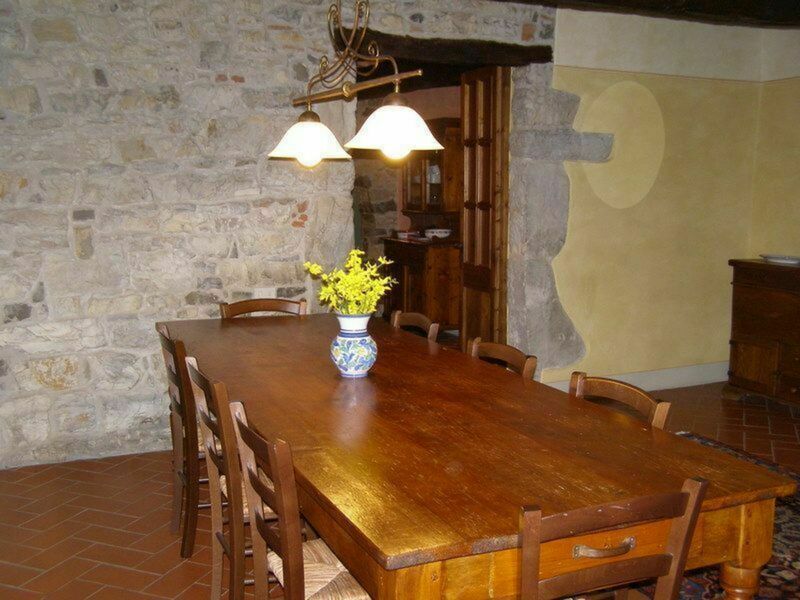 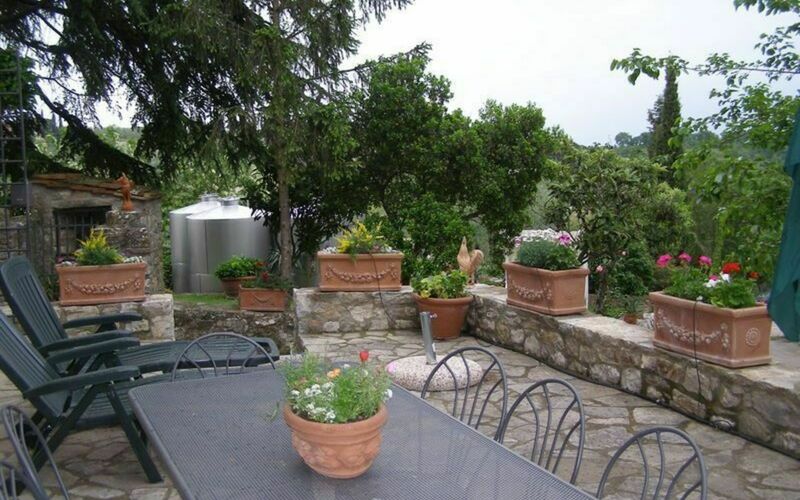 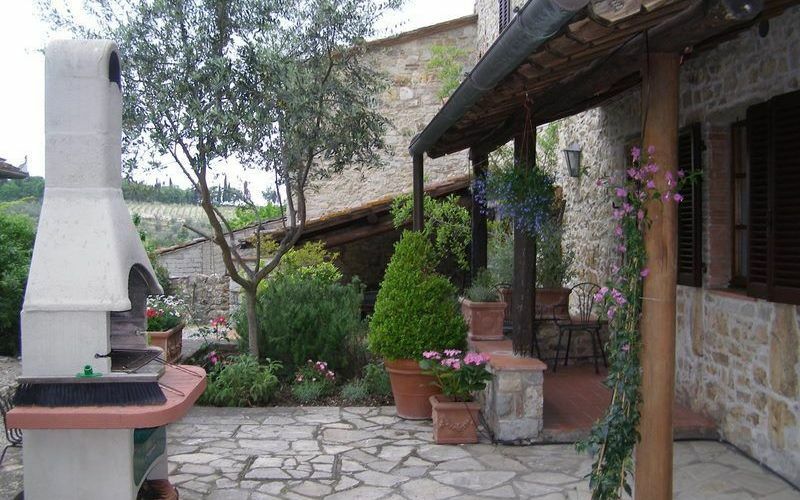 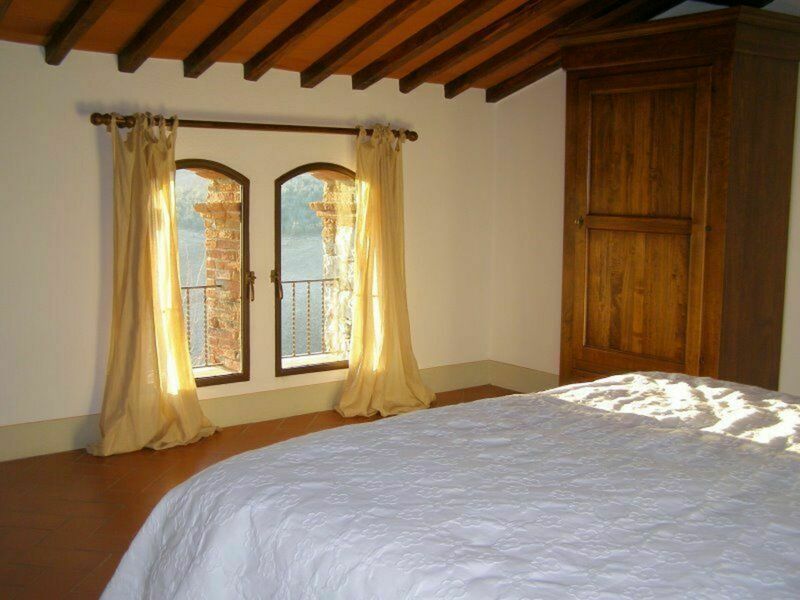 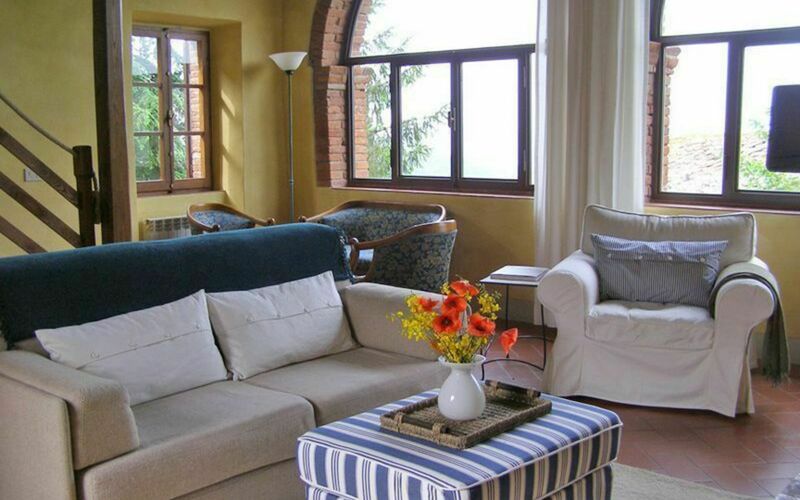 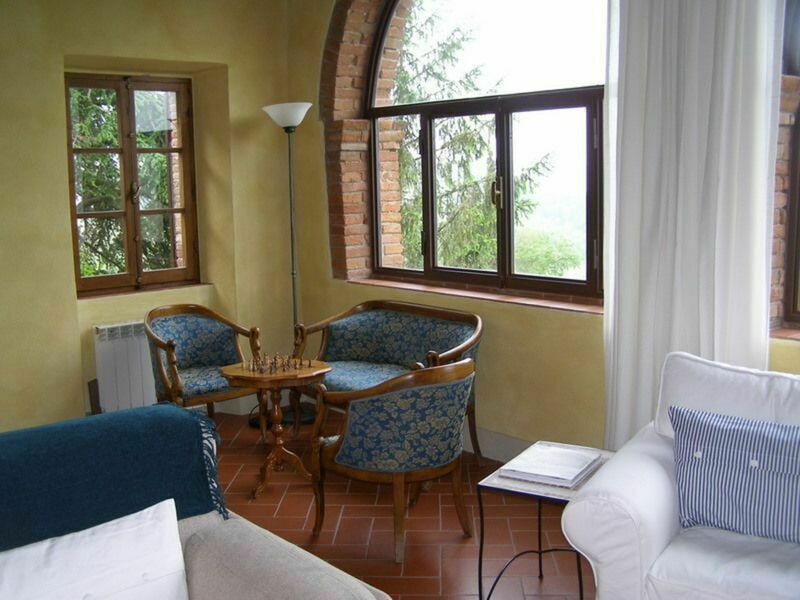 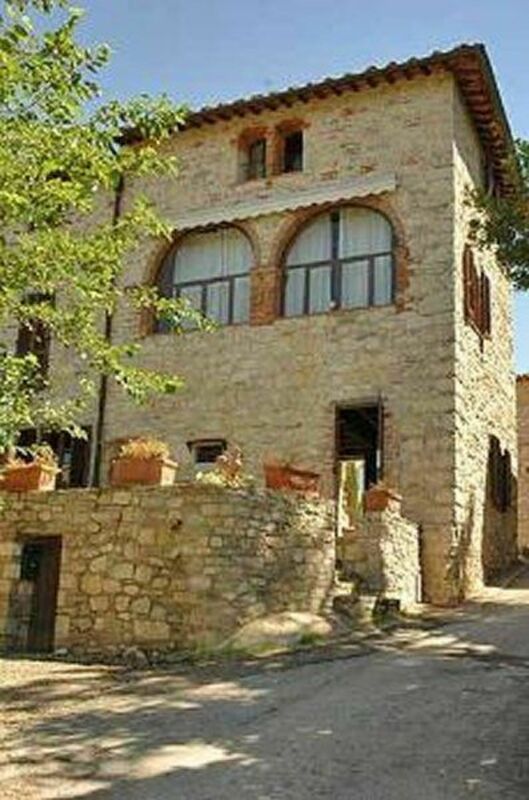 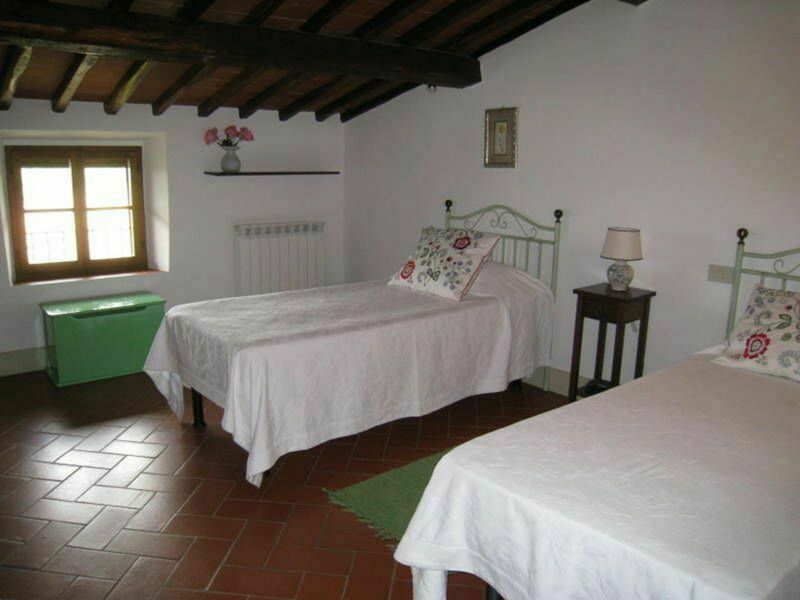 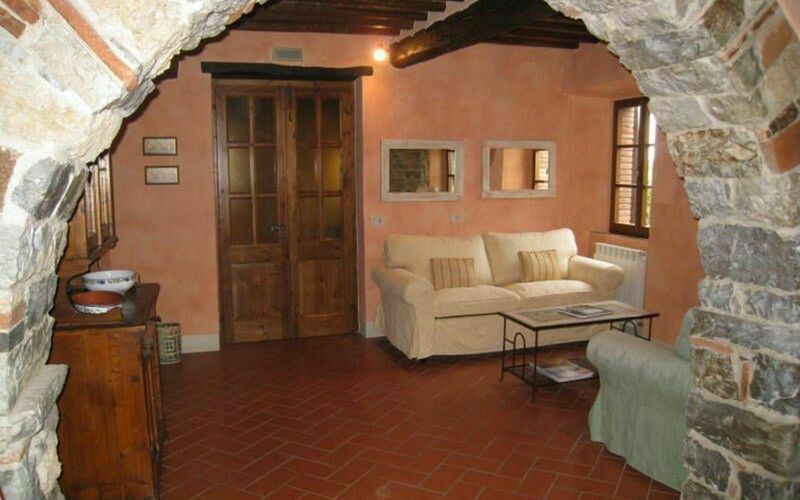 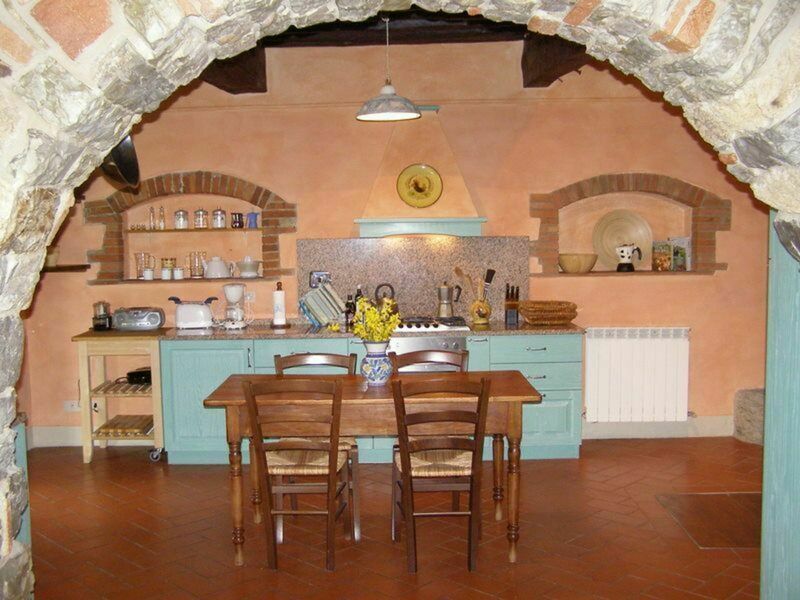 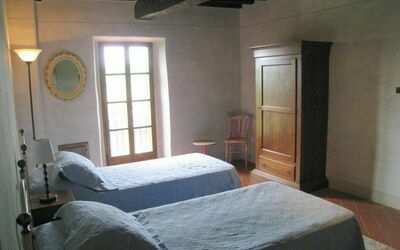 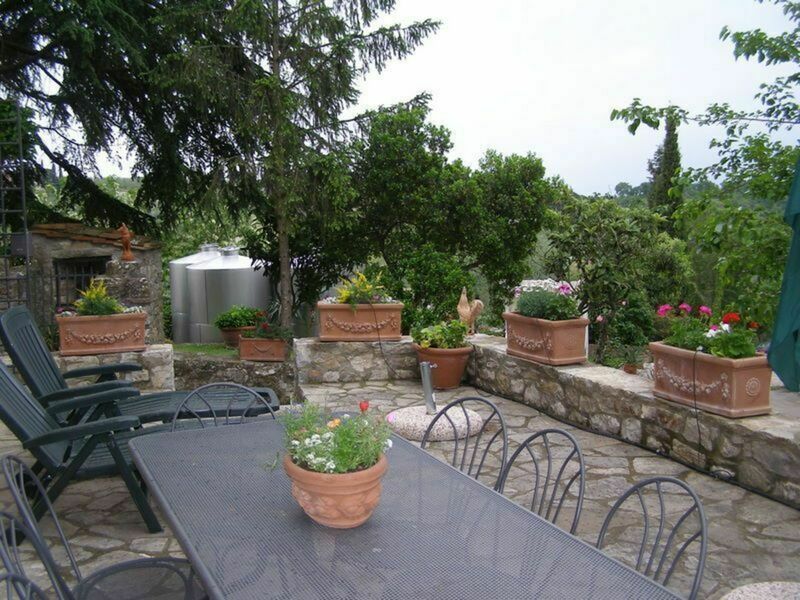 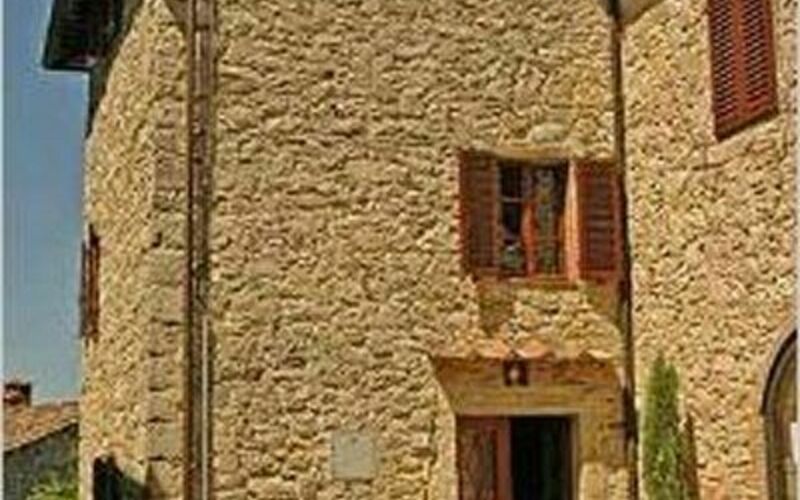 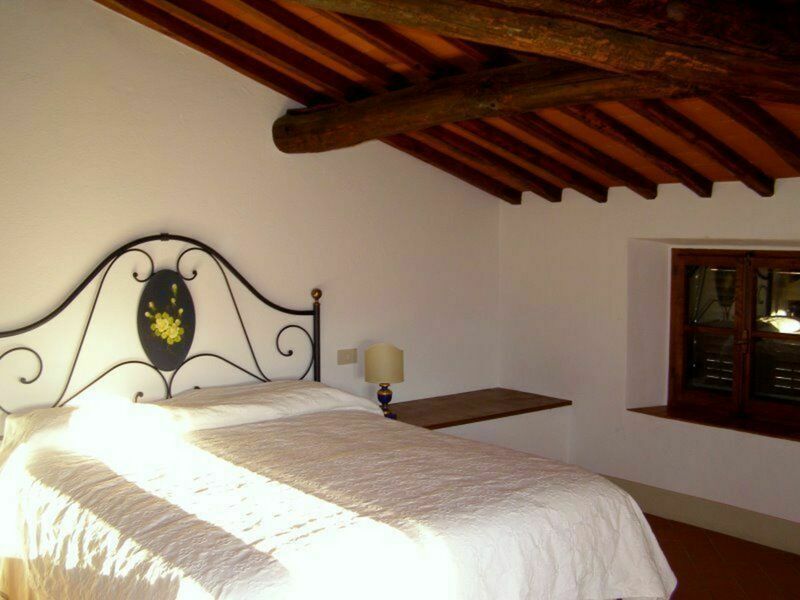 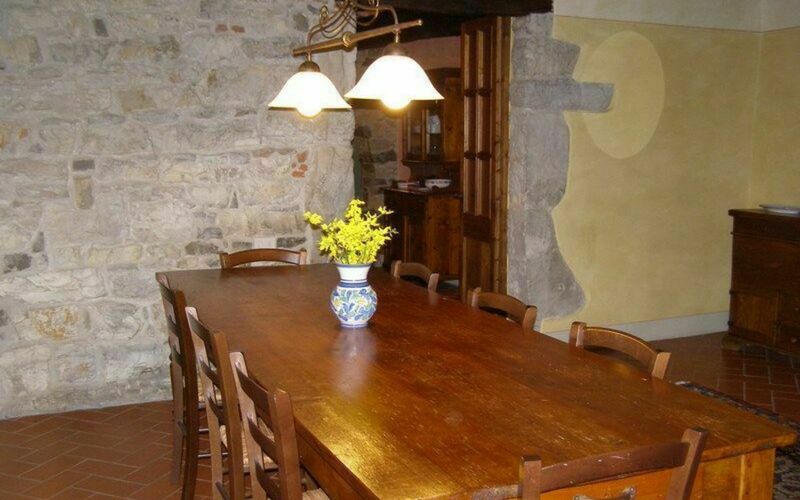 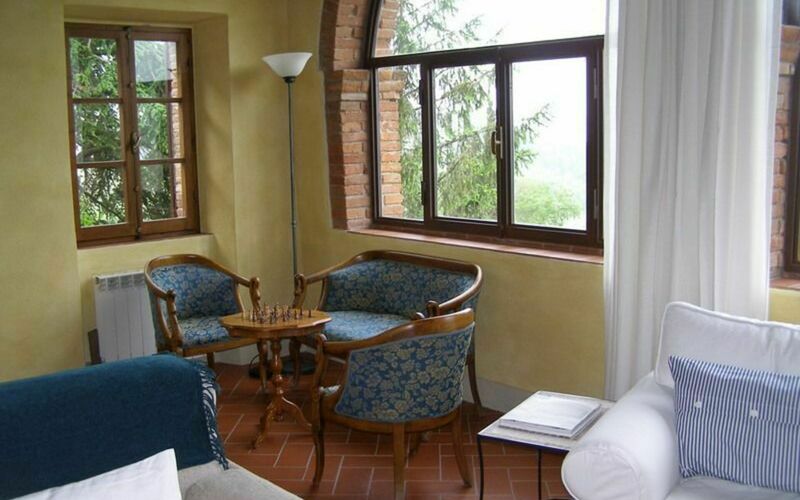 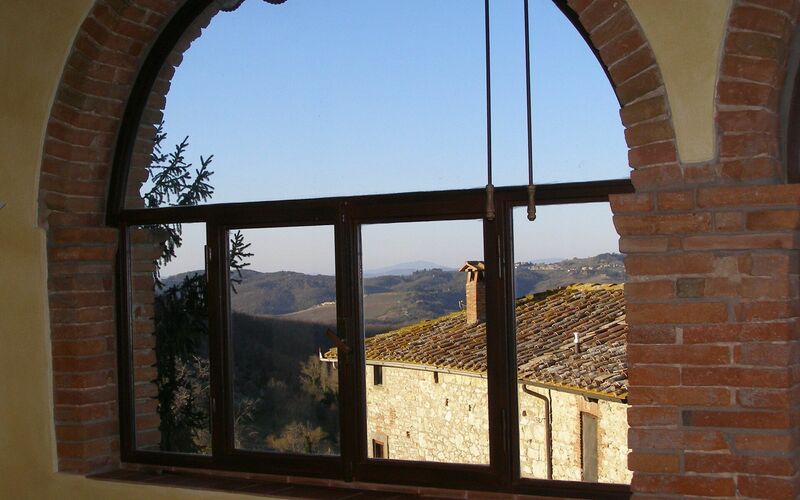 Villa Gallo Nero is a lovely country villa situated in the village of Casanuova di Ama. 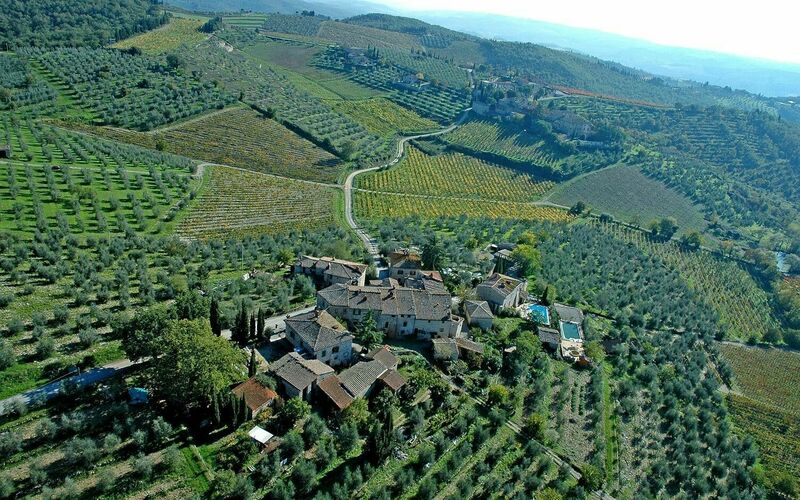 The village is comprised of a small cluster of houses surrounded by vineyards of wine and oil-producing farmers. 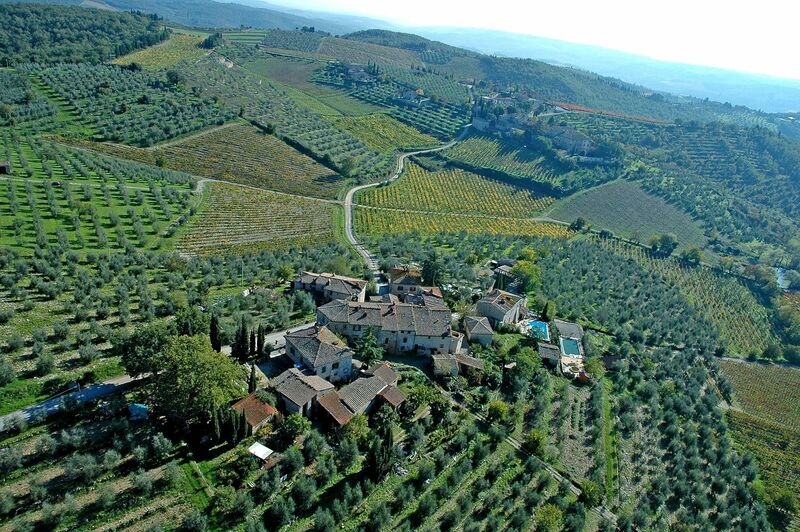 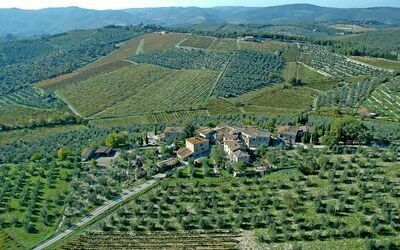 Centered between the medieval towns of Radda and Gaiole in Chianti, Casanuova di Ama is an easy 1-hour drive to Florence and a 20 minutes to Siena. 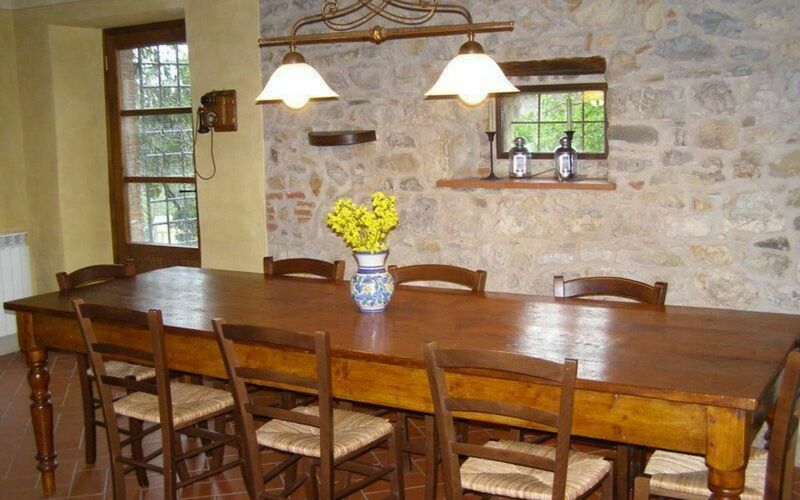 At Guest’s DisposalThis town has all amenities. Casanuova di Ama has excellent views from its hillside position. 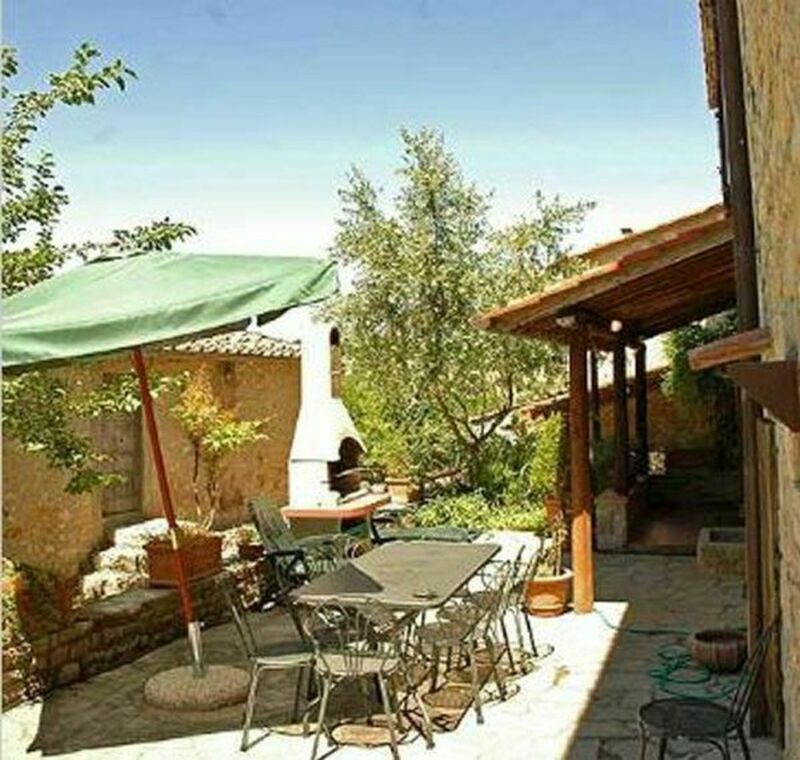 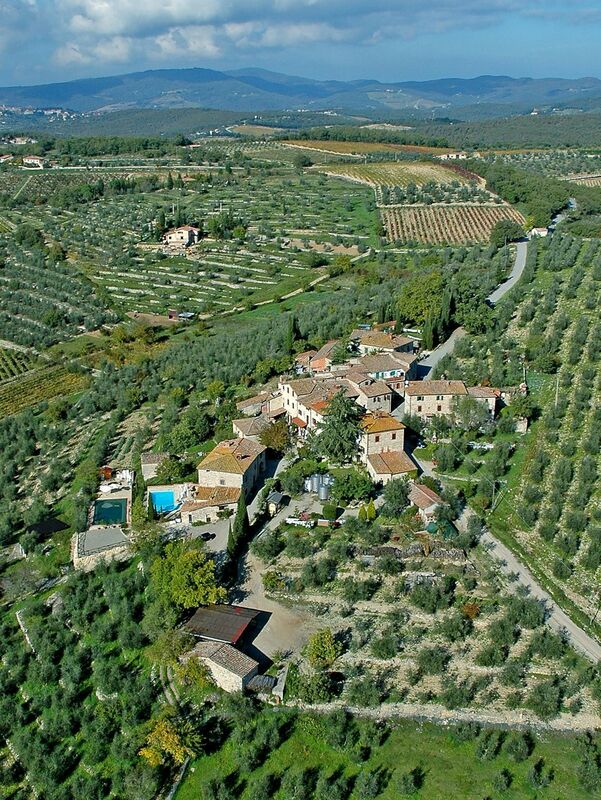 It is also ideally located in the beautiful countryside so that you can take many interesting walks through the vineyards and olive groves that surround the hamlet. 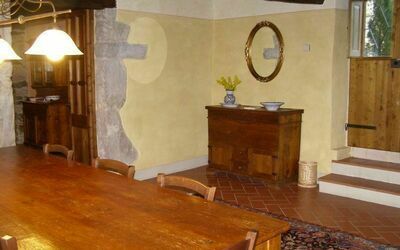 Wi-Fi is available onsite. 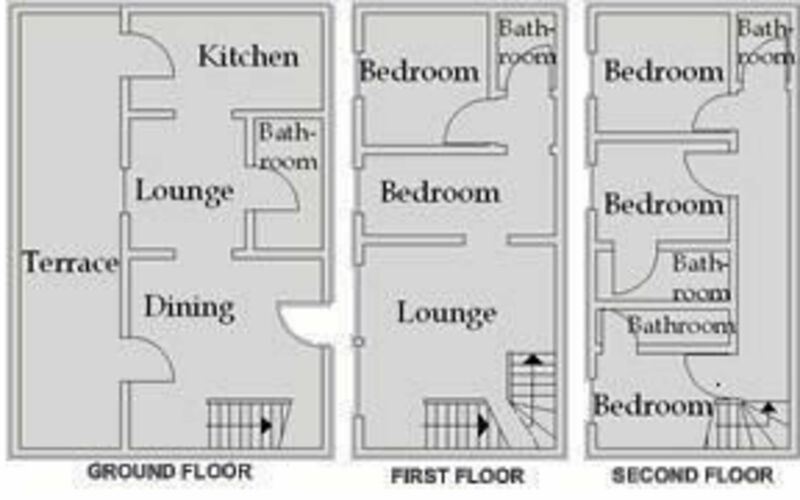 Extra ServicesMany different type of services could be arranged. 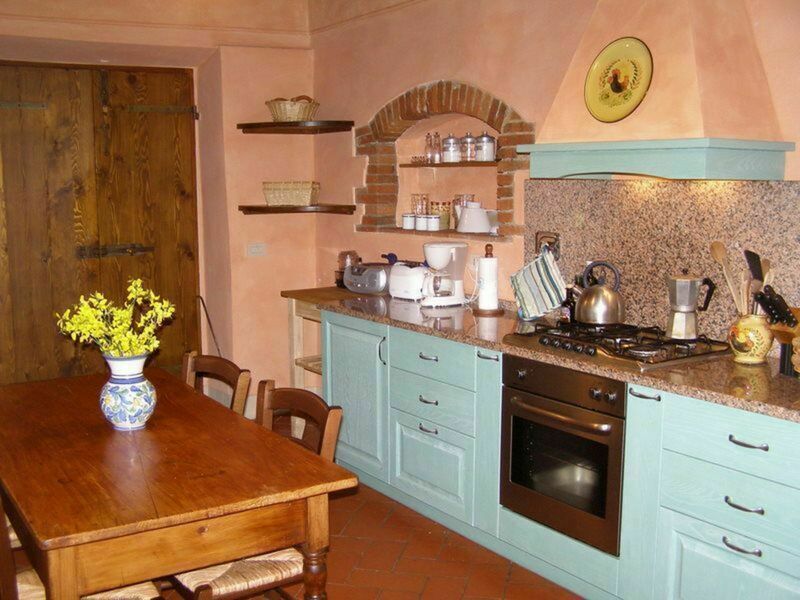 Between the ones preferred by our Guests are cooking lessons or special meals prepared by an Italian chef. 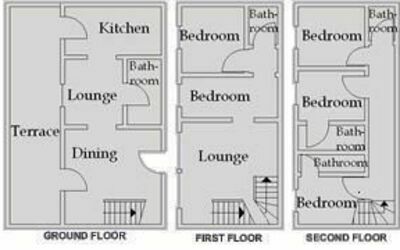 Simply let us know what would be your interest and we will set it up for you. Available parking 30 meters from the Villa's entrance. 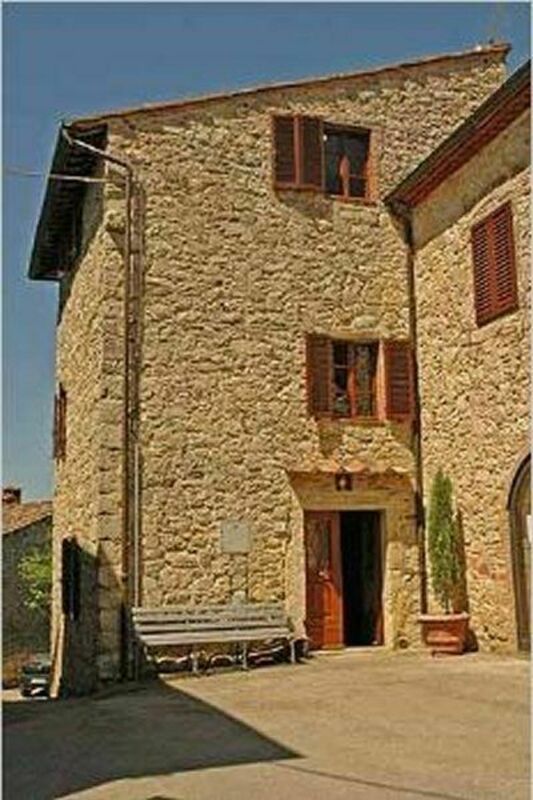 DistancesThis pretty little hamlet is 5 minutes drive from Lecchi in Chianti (1,5 km from the villa, also reachable on foot), a village which has a good restaurant, small shop and wine bar/cafe. 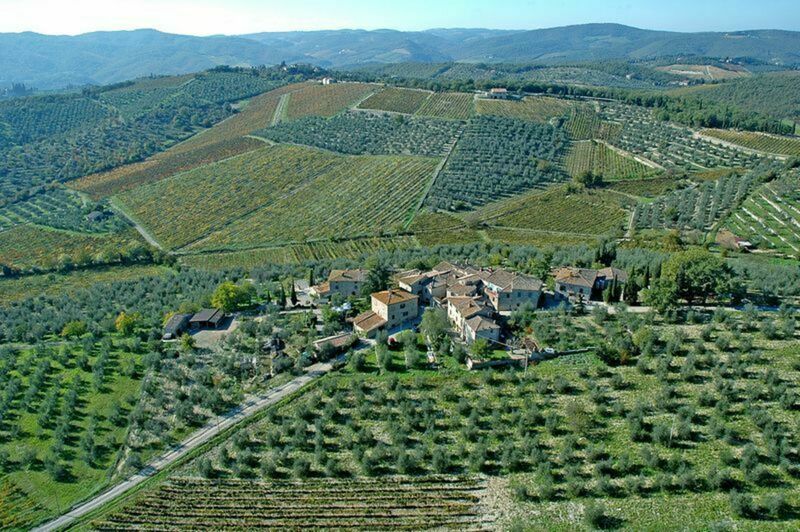 Also nearby there is one of the five main Chianti towns, Radda in Chianti, which is the perfect place to spend an afternoon taking in the local atmosphere. 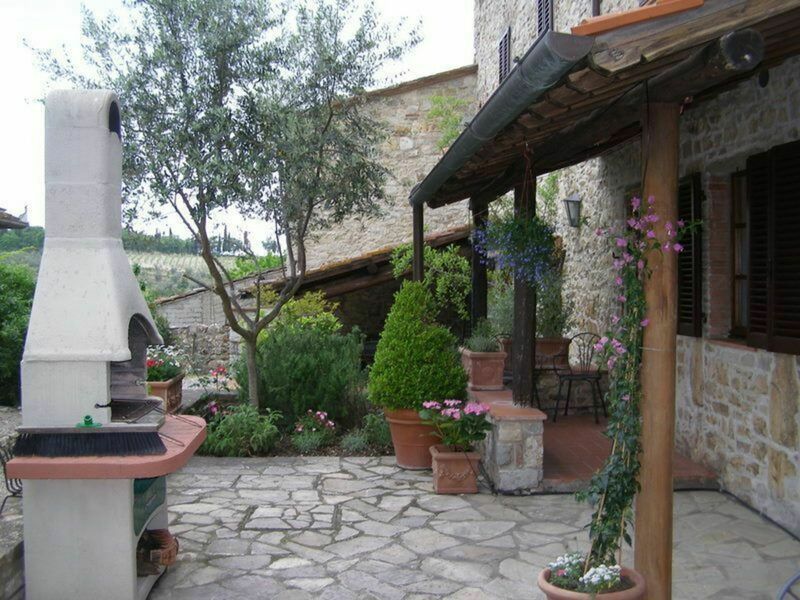 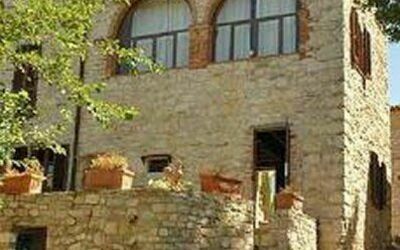 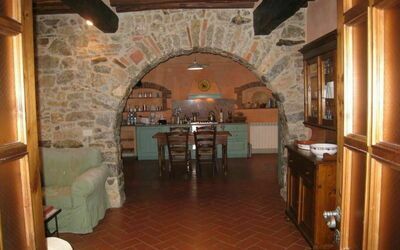 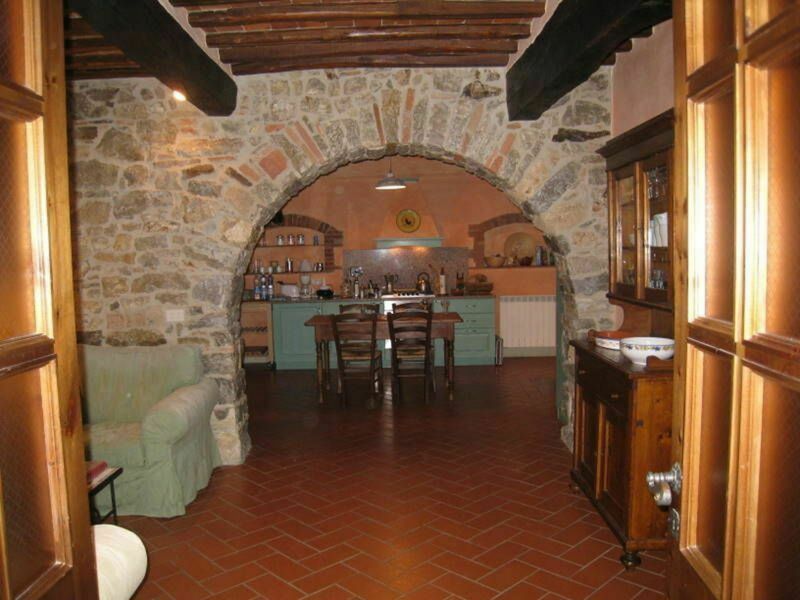 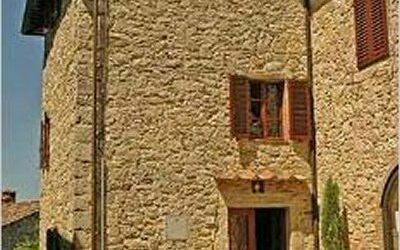 This Villa is a 15th century stone tower and it is part of a characteristic, small, stone village in the heart of Chianti. Entrance; living/dining room with table anche chairs for 12 person; kitchen fully equipped with range, refrigerator/freezer, dishwasher, and high quality pots, pans and cooking utensils. An antique Tuscan table in the center of the kitchen is the perfect place for a casual meal or a great spot to sit and roll fresh pasta. 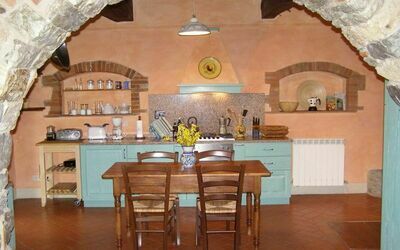 The kitchen has been totally refurbished but keeping the charm and originality of the Cucina Italiana. The kitchen is connected by a wooden door to the terrace/garden where there are some fine herbs to be used when cooking. 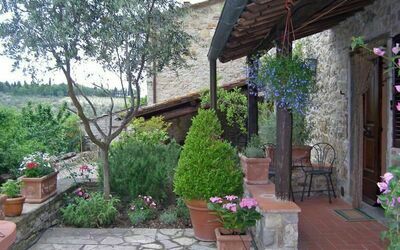 Here, in the outdoor dining area with a table with 10 chairs, guests can enjoy outside dining while watching Tuscan sunsets. 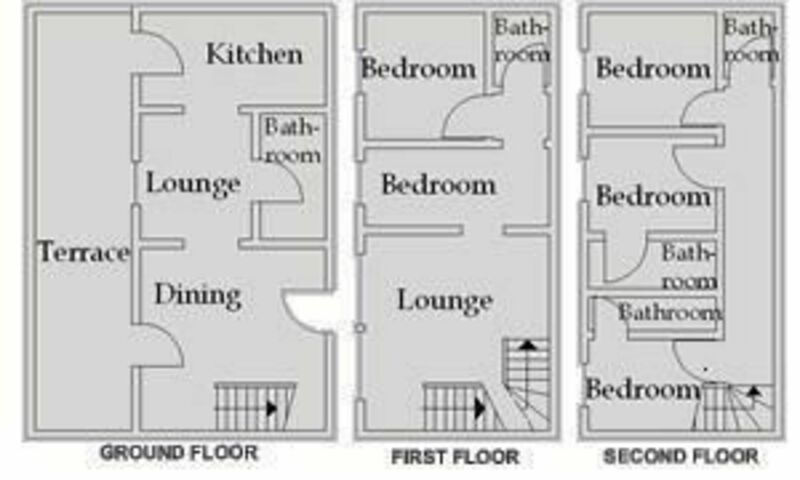 1 bathroom with shower + washing machine. 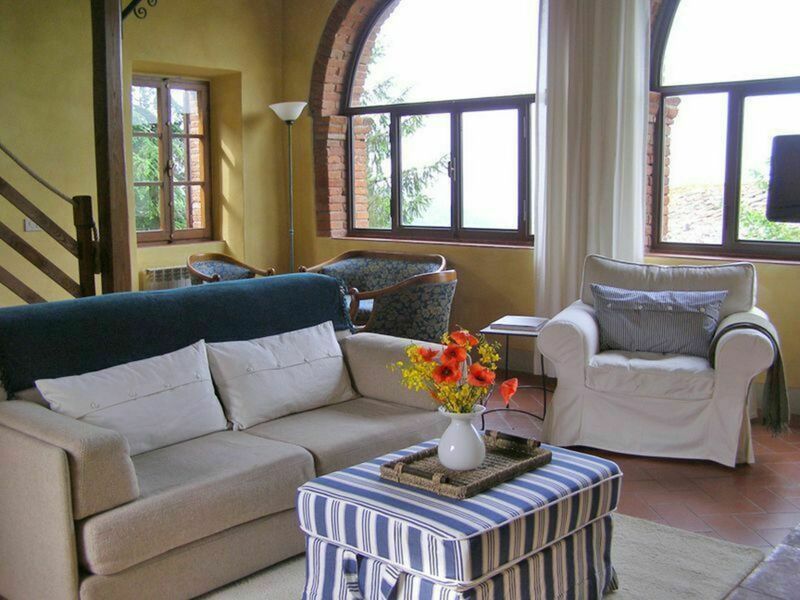 Living room with large Palladian style windows that afford a spectacular view of the surrounding vineyards, the Chianti Hills and the beautiful Tuscan sunsets. 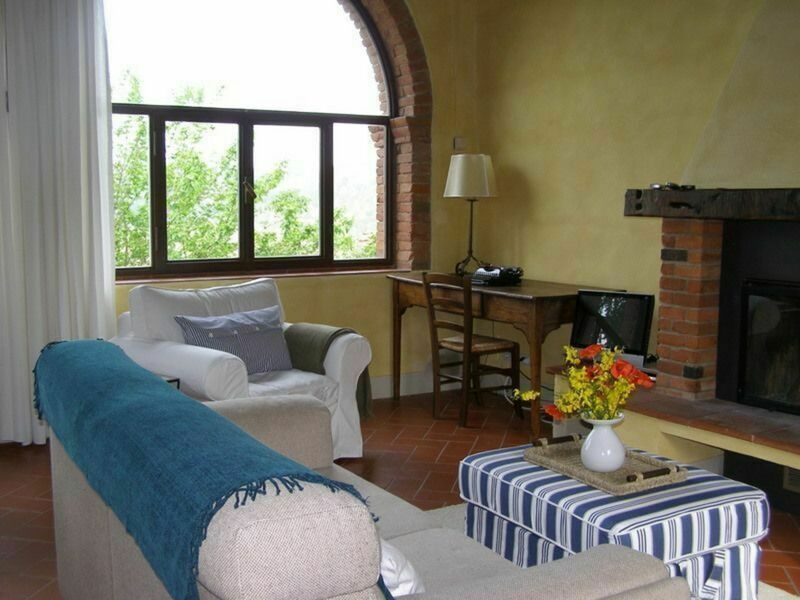 A large fireplace, perfect for roasting chestnuts or taking the chill off a cool evening further enhances the living room. 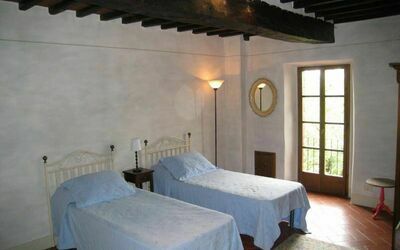 2 adjoined bedrooms (one double and one twin), one is only accessible through the other. 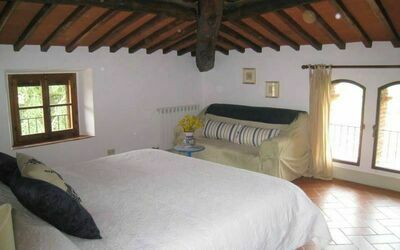 3 bedrooms (2 doubles and 1 twin) + 3 en-suite bathrooms with shower. All windows have bug screens installed, and there are fans in all bedrooms. The Villa is warmly furnished with a mix of traditional Tuscan antiques and overstuffed couches and chairs that complement the stone and richly colored stucco walls. 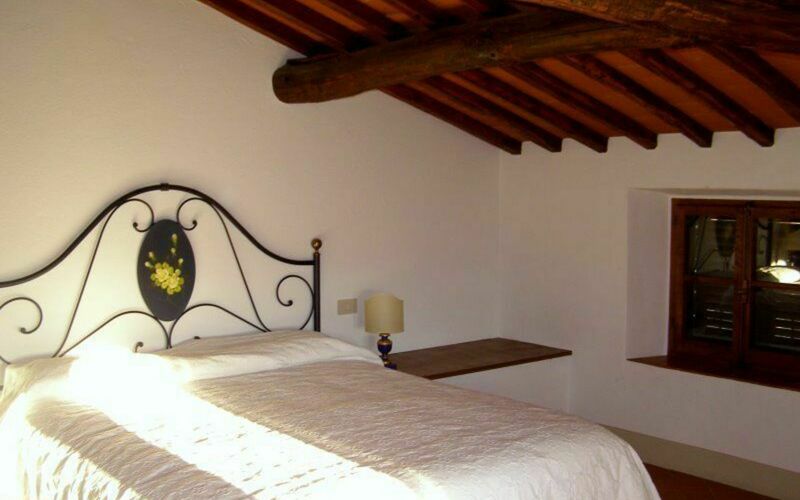 Terra cotta floors and soaring beamed ceilings dominate the ground and first floor, while the second floor bedrooms feature sloped, beamed ceilings and bathrooms en suite.